View the Conference Photos from 2017 in Atlanta! Interested in experiencing honors outside the classroom? Take a look at these opportunities! Partners in the Parks Trips Now Open! Partners in the Parks excursions take groups of honors students from across the country on adventures in some of America's most beautiful and unique national parks! Bond with other students as you take advantage of recreational opportunities, and participate in seminars with faculty and National Park Service staff about historical, scientific, cultural, and other important areas unique to a given park. If your'e interested in extended travel, consider taking part in the Grand Canyon Semester, August-December 2018. The 2018 Grand Canyon Semester investigates the landscape, cultures, and politics of the greater Grand Canyon region. The Grand Canyon Semester offers a life-changing learning experience in the high mountains of northern Arizona and the deep canyon country of the Colorado Plateau. Students with a wide variety of interests and passions come from across the United States and around the world to join faculty in the natural sciences, social sciences, arts, and humanities to investigate how humans impact, manage, interact with, and value the natural world. On backcountry field trips, in classrooms and art galleries, around campfires, in traditional hogans, and floating down the Colorado River through the Grand Canyon, we confront key environmental and social challenges in these diverse natural and cultural landscapes. The Grand Canyon Semester's broad theme, Boundaries and Borders, evokes a deep exploration of the complex issues that influence and shape natural and cultural worlds. Using interdisciplinary and experiential approaches, students will explore the economic, political, artistic, ecological, social, and spiritual forces of the greater Grand Canyon. For only $35, you could be a student member of NCHC and proudly wear the green & gold cord representing your national commitment to honors education! 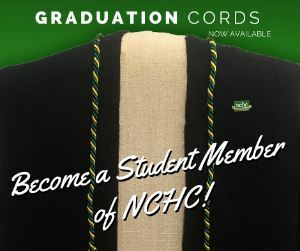 Contact the NCHC Office to JOIN TODAY and get your cord in time for May or December commencement! For the cost of a tank of gas or a couple large pizzas, you could make a personal contribution to building honors education everywhere, and get some cool perks along the way. More details on how to join right here! UReCA is now accepting Student Submissions and Editor Applications for 2018! The Journal of Undergraduate Research and Creative Activity, UReCA, is nationally recognized and sponsored by the NCHC. The only student-led and peer-reviewed journal for undergraduates, UReCA showcases competitive multi-disciplinary works produced by honors students from across the U.S.
Download & Share This Details Flyer!